Jaded Blossom: Happy Mother's Day! Jamie here and I created a Mother's Day Card to share today! 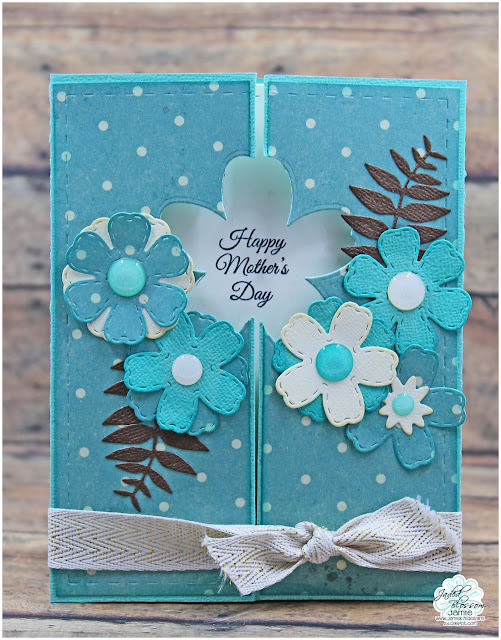 I added the Card Mat Die to the card and then used one of the large Flower Dies to create the opening on the front of the card. I stamped a sentiment from Mother's Day to the inside and added all the layers of flowers to the top. Last I wrapped and tied some ribbon to keep the card closed. Oh how PRETTY! Lovely card!